Home / MRI / Is it worth finding an Open MRI near me? MRI (Magnetic Resonance Imaging) is a diagnostic test using radio waves and magnetic fields. It gives doctors a better view of a patient’s organs and body systems and can often detect problems that don’t show up in an X-ray or CT scan. MRIs are used in medical imaging as a safe and effective diagnostic tool. Unlike CT scans and X-rays, the MRI does not use radiation. The Open MRI is open on all four sides while the traditional MRI is closed on three sides. The Open MRI is much more comfortable for someone who becomes anxious in tight spaces. Both kinds of MRIs are important depending on the type of test, but the open MRI is a more comfortable and quieter alternative for many procedures. Why is an Open MRI an advantage for children? An MRI is often a source of anxiety for many adults, and it is easy to understand why it could make a child anxious and uncomfortable. An Open MRI doesn’t make the patient feel closed in and provides a much more comfortable atmosphere. This is great for children who may already be nervous about the doctor’s office and big machines. It also allows the child’s parents to stay with them during the procedure- a relief for both parent and child. 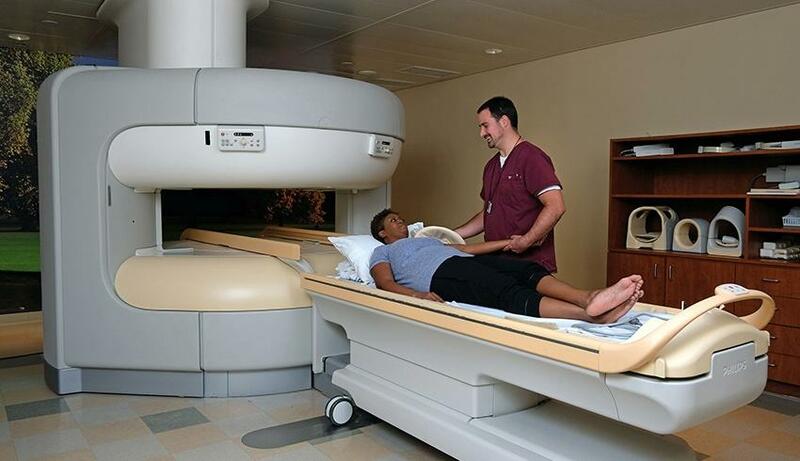 The question becomes, “Is it worth finding an Open MRI near me?” For some, like residents of Fredericksburg, VA and surrounding areas, there are Open MRIs available nearby. But what if you don’t live close to a facility that offers an open MRI? Consider your own unique needs and situation. Are you or your child claustrophobic? It might be worth traveling a bit further to a facility with an Open MRI to allow for more comfort during the test. Are you or your child uneasy in medical facilities or in new places? An Open MRI forgoes a lot of the anxiety that a traditional MRI can bring, and helps put you and your child at ease. Plus, you can stay with your child during the test. Do you or your child have limited mobility? An Open MRI provides an easier examination process for those with physical limitations. Technicians can more accurately scan areas that have proven difficult with traditional MRIs. An Open MRI could be a welcome alternative to laying in a closed traditional MRI for your diagnostic test. Search “Open MRI near me” and see if it’s an option available to you. Your doctor will determine which type of MRI is most appropriate for you, and in some cases will want a different machine to be used.